So. That’s a thing that exists. 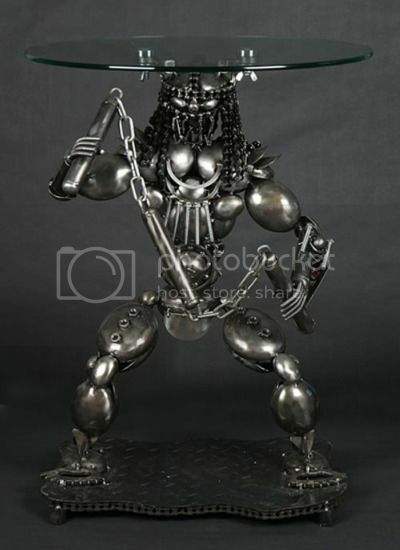 Instead of being available in different finishes or heights, the Predator lamp table is available with the Predator holding different weapons. In case, you know… you’re skeptical that the Predator would use nunchucks. Via Nerd Approved, who has strict rules against using nunchucks and handguns as furniture. ooohh… totally geek-a-licious. Too bad my wife would disapprove. I can already hear “it’s either me or this ugly lamp table!”… tough choice, I know, but I would stick to the wife.